1.Fashion comes alive when you put on these flashing sequined fedoras. 2.Hat is powered by three button cell batteries, included. 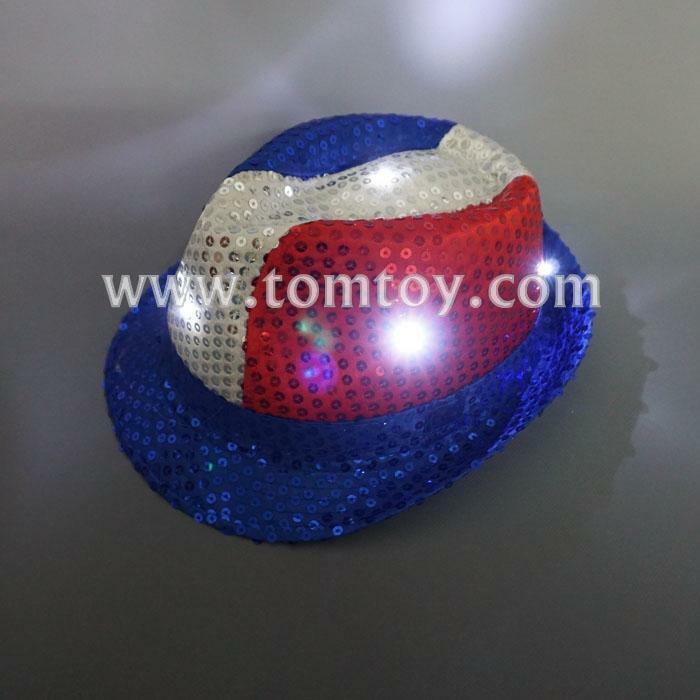 3.Our fedora features 6 white LED's and one size fits most. 5.Perfect for costume parties, night clubs, or just an extra touch to any outfit.